I’ve been having a great time the last few days. My sister Anna is here for a visit after having been in Japan for the last year. It has been great catching up and spending time together. 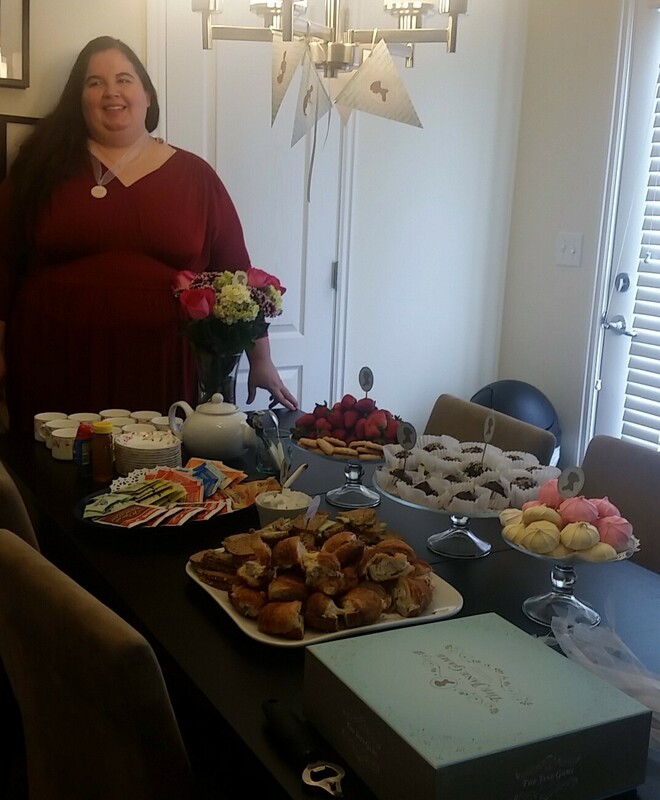 As a special treat for her visit I decided I wanted to throw a little party. I love entertaining but had gotten a little burnt out last year and so hadn’t done much. I also got a game from a kickstarter I sponsored called The Jane Game. It is all based on Jane Austen and was done by a woman here in Utah. I also got a party pack as a perk for my kickstarter, which I hadn’t used. 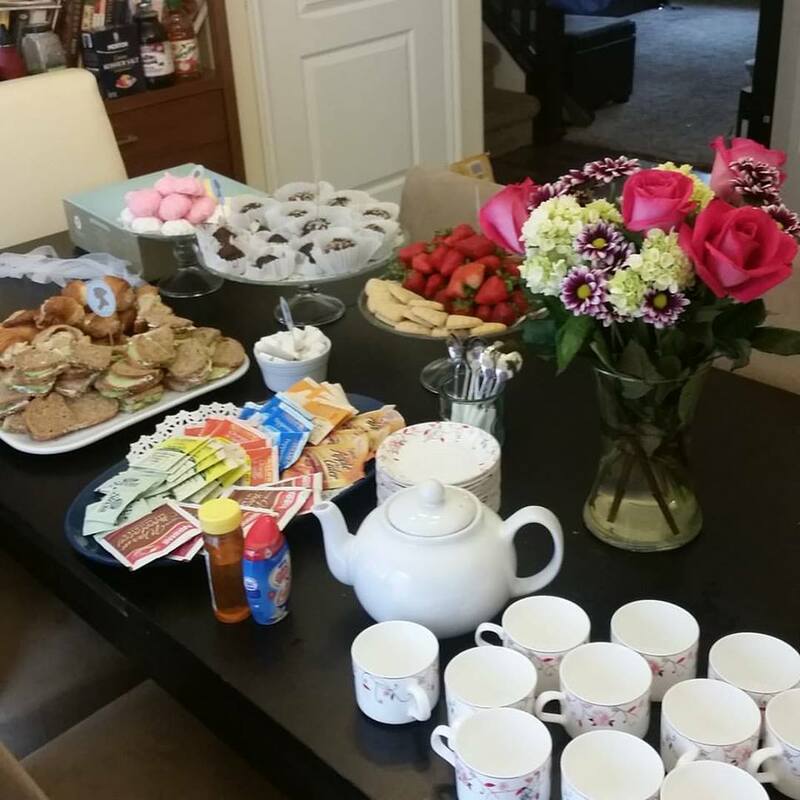 It seemed like the perfect time to combine both needs and have a Jane Austen Tea Party! The party turned out really well. I had teas/hot cocoa to choose from with sweeteners and cream. Then for food we had chicken salad croissants, cucumber sandwiches, meringue cookies, strawberries, shortbread and two treats from bake 360. I think it all looked very pretty and I enjoyed putting it all together. I also dressed up in as close to a regency dress as I have! Most importantly in any party I enjoyed spending time with my friends and catching up since I don’t get to see any of them as much as I would like. 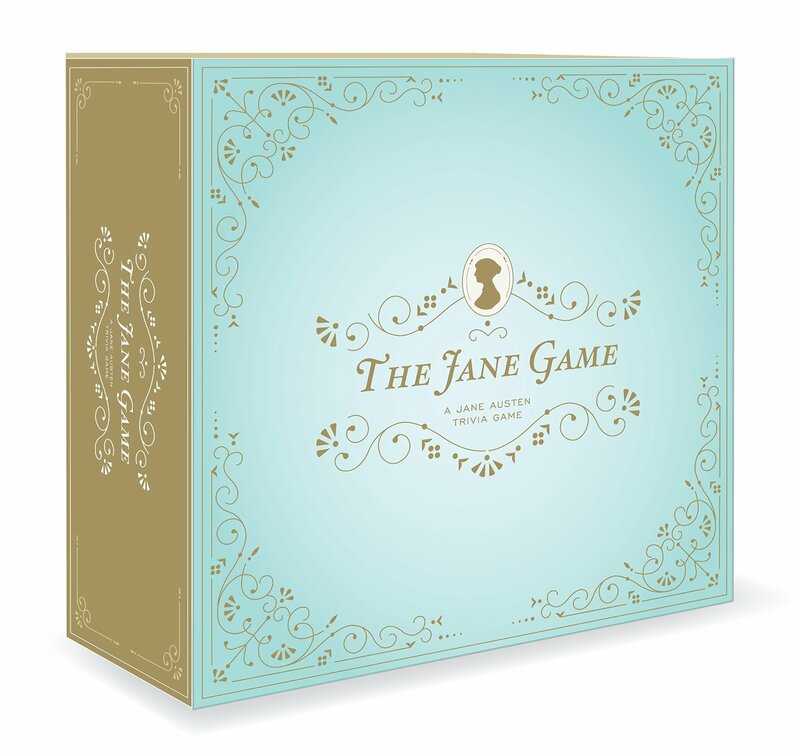 After visiting we played the Jane Game and it was a lot of fun. And I am proud to say none of us ended up as old maids! We also learned that all of us need to brush up on our Northanger Abbey and Mansfield Park. I’m seeing a movie night in our future. Overall the party was a great success and everyone seemed to have a good time. I feel encouraged to try again and get back to entertaining regularly. 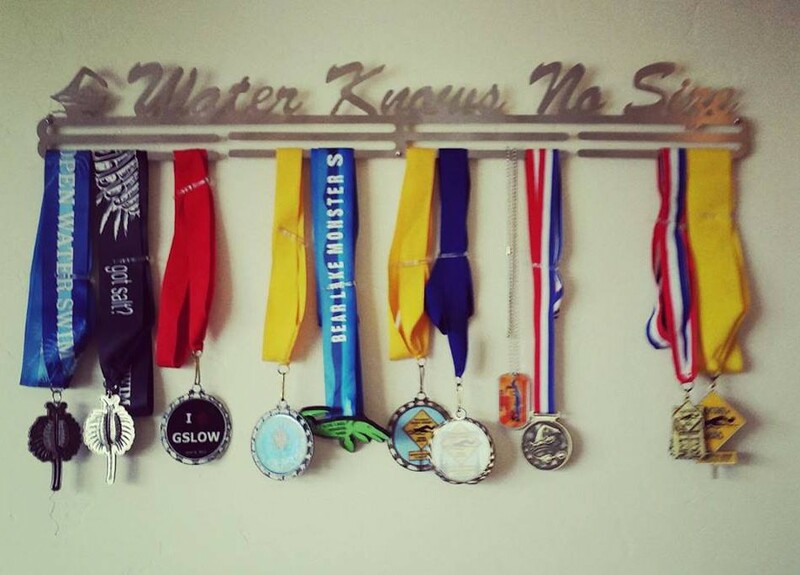 It’s a part of my life I really missed and had been feeling very discouraged about it last year. It seemed so hard to get anyone together for anything that I wondered if my party planning days were over. Today let’s me know it’s not. 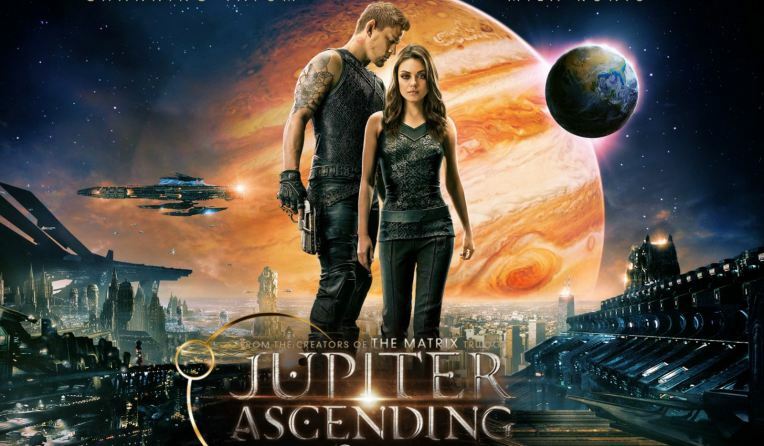 Hey guys occasionally I like to share with this blog some of my videos and blogs on movies. I thought I would let you guys know about a series I am doing on my channel where I am reviewing the films nominated for Best Animated Feature Film for Oscars. This prize started in 2001 and I just posted 2005 today. I would love if you gave these videos a look and a thumbs up if you think they are any good. I’ve been working hard on integrating clips and trying to give good feedback on each film. Make sure you also look at ldsblogs.com for my new column on Family Movie Nights. I am so proud of it so please subscribe to it even if you aren’t LDS because it is non-denominational column. Next week comes An Extremely Goofy Movie!!! This is a post mainly for my Mormon readers. I have very exciting news! 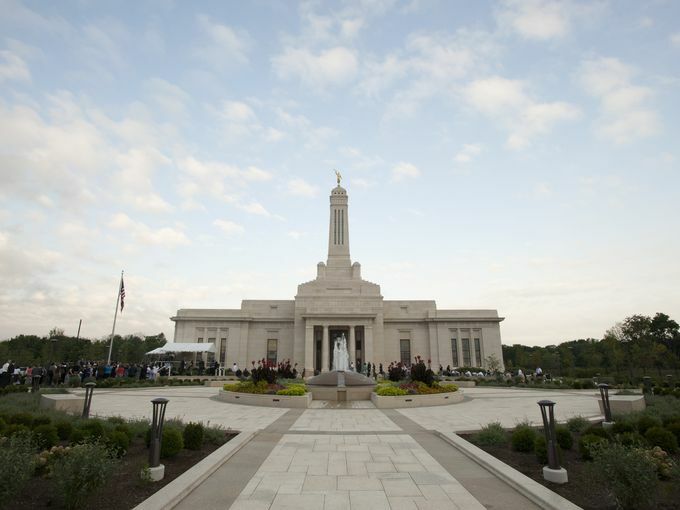 Today in Carmel, Indiana (just outside of Indianapolis) they dedicated a temple for my church, The Church of Jesus Christ of Latter-day Saints (or the LDS part of Smilingldsgirl). This is important to me because I served my mission in Indiana from 2003-2005. Back then I could never have imagined a temple in Indianapolis because there were so many nearby (2 in Illinois, 1 in Kentucky 1 in Iowa, 1 in Michigan etc). My mission was a great experience but it was incredibly challenging. I can honestly say I left it all out there and gave m all spiritually, physically and mentally. I’m not saying I was perfect but just that I did the best I could and I had a confirmation from Heavenly Father when I was done that he accepted my effort. 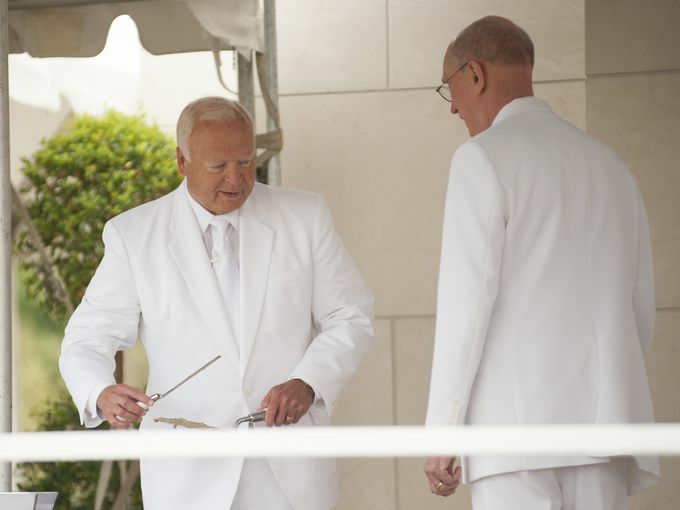 So you can imagine how thrilled I was when I heard the news of the temple way back in 2010. But then it seemed to be taking forever to even get construction started so I started to wonder if it would ever happen. I’m not sure what kind of difficulties they had because typically temples go from announced to built much more quickly. However, I’m just so excited that it is done and the great work can go on there for the Hoosiers I love so much. They are a giving, loving people who are deeply involved in community, churches and civic organizations. I’ve never lived anywhere where high school and college sports was that important. Anything that could be cheered on and celebrated was whether it was Indy Car racing or Notre Dame football. It was deeply felt and passionate like nowhere I had ever seen before. 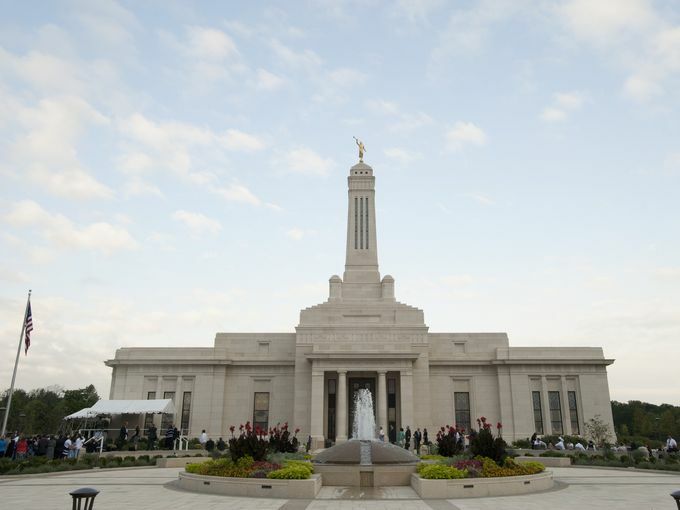 I can only imagine when that fervor gets turned to temple work what great things will be done. 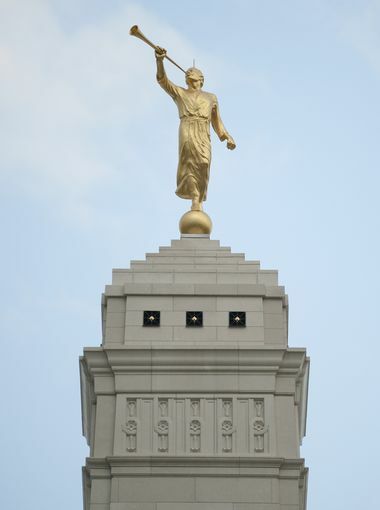 Seeing the Indianapolis Temple makes me want to renew my goal to go to the temple more as I am far to quick to let that slip. And the sad part is I really need it. It’s such a peaceful, quiet, lovely place and really is my sanctuary from the world. I’m so happy that my Hoosier friends will have such a place for them to commune with the Lord. I do have a witness of this work and the Gospel of Jesus Christ. I know the Book of Mormon is the word of God through a spiritual witness and it is my greatest desire to serve Him each day. I know Jesus died for me and has suffered for my sins and shortcomings. Congrats to my Indiana Mormon friends! I love you! Why do we insist everyone have the same fun as our fun? What do you think is fun? Aside from watching animated films, I think every reader to this blog would have a different answer to that question. And yet why do we assume that everyone will think the same movies are fun? This years seems to be the year of “fun movies” and I must have heard 100 times “oh come on, just have fun with this movie”. I have also caught myself saying it on videos and with blogs. I’ve been thinking about this a lot lately because it seems to me fun movies are great when you enjoy them but when other people tell you to have fun and you’re not it is very annoying. Hey guys! This is just a quick update. Those of you who have been with the blog for a long time might remember the eye surgery I had in 2011 and 2012. It was quite the journey but the surgery was to correct an amblyopia or strabismus (commonly referred to as a lazy eye). I had always had trouble seeing double and found it incredibly difficult to make eye contact with other people. Focusing in general was tough but I didn’t think there was anything you could do about it. Indeed I had eye doctors tell me there was nothing we could do about it (stupid doctors!). It’s a real shame too because the problem is much easier to fix when kids are little but because of the doctors ignoring it I went untreated until I failed a vision test for my drivers license. I was supposed to look into a box and see a light but couldn’t see anything. This was caused by my strabismus issues. I ended up finding Dr Petersen at Rocky Mountain Eye Care and it took 2 surgeries and then vision therapy from Utah Vision Therapy but the treatment seems to have worked. My doctor told me last week that I don’t need to see him again for another 2 years! I made this video where I explain more of my journey and the treatment I received. Please pass it on to those you know and keep an eye out for kids that have signs. Thanks!